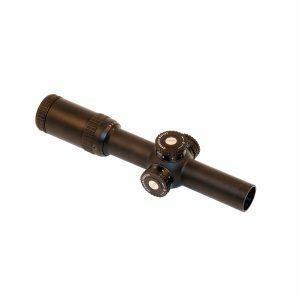 Shepherd’s new Phantom 1-6X24 T1 tactical scope was designed to be fast and versatile for flatter shooting gun/ammo combinations. 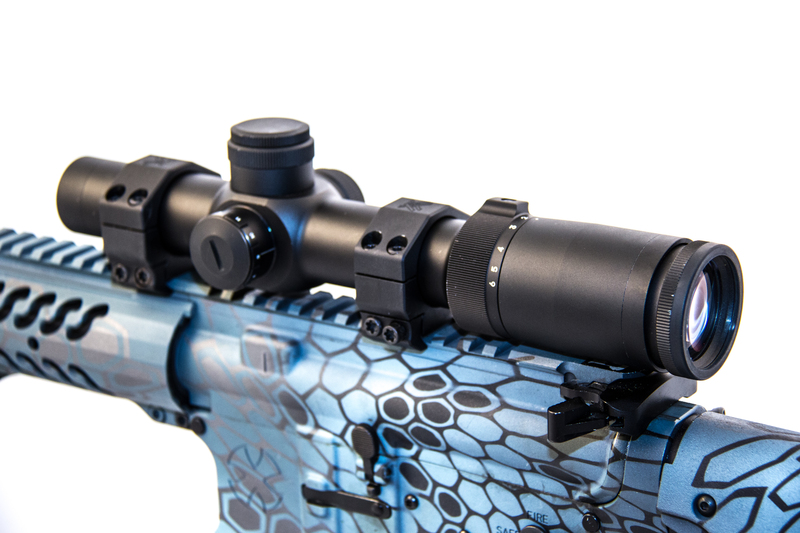 The illuminated first focal plane reticle gives you the speed of a halo sight at 1X and Shepherd’s one-step range finding and bullet drop compensation pattern out to 6X. 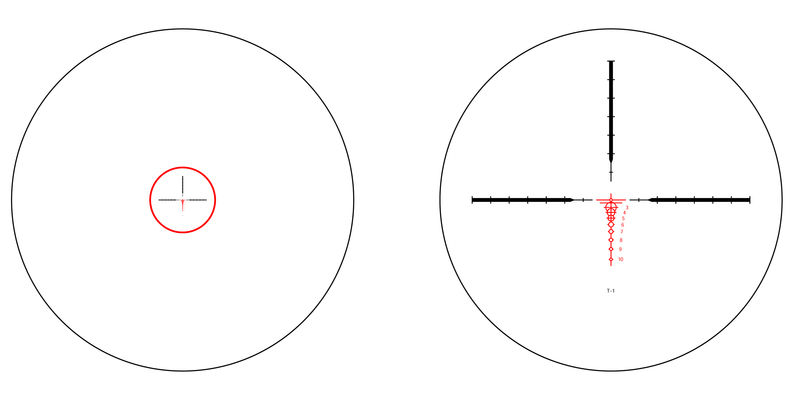 The circles are sized for 18” targets which is perfect for military targeting. 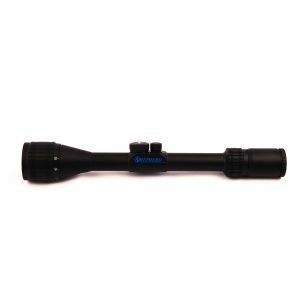 This Shepherd rifle scope is a perfect addition to tactical gear for law enforcement and security forces but also is an efficient hunting weapon as well. 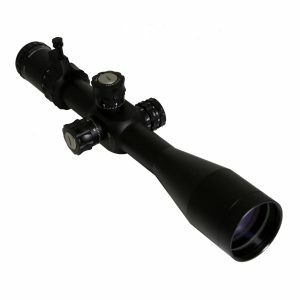 This scope gives you true both-eyes-open shooting ability for CQB with the flexibility to identify and engage mid-range targets. Our PVD multi-layer coated HD optics deliver a crystal clear image through the entire field of view. 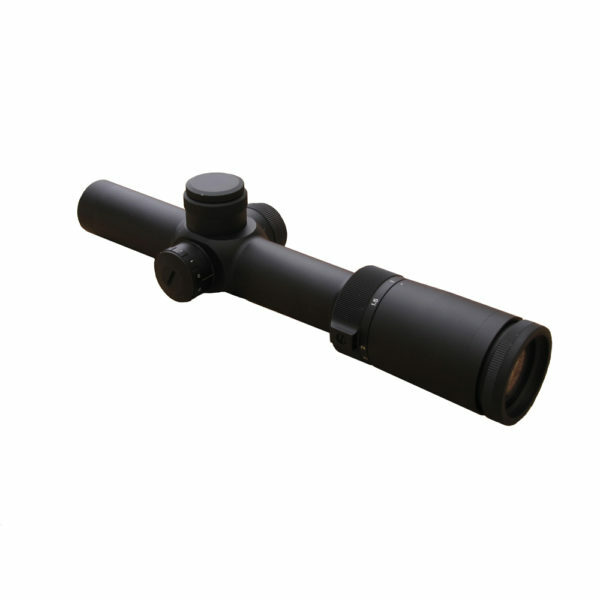 Phantom scopes have a 30mm tube and covered pop-up turrets with the ability to set your zero. 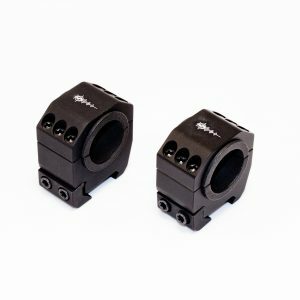 This combination of features provides the fastest moving target acquisition available in a variable power platform; letting shooters just “Fit and Fire”. 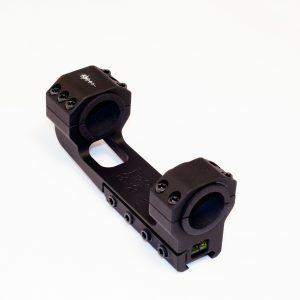 The Phantom T1 weapon sight works with everything from a .223 – .338 LM caliber rifles with muzzle velocities from 2,800 feet per second to 3,300 feet per second. This includes 6mm, 6.5 Creedmoor, 7mm, .270 and most 300 Win Mag. 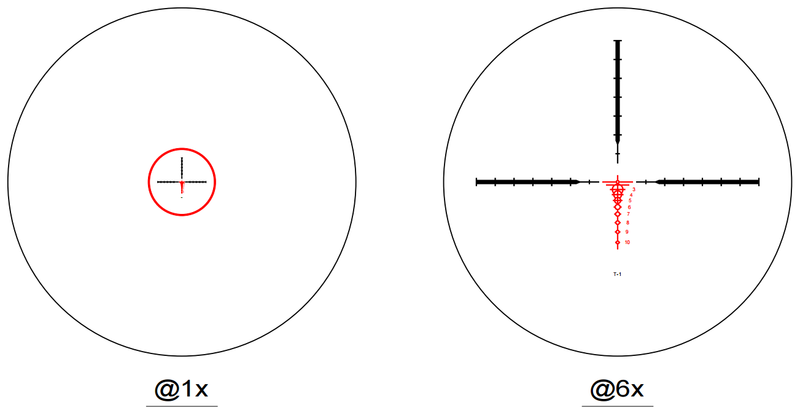 If you want to check the fit of this reticle to your gun/round please visit our scope finder. 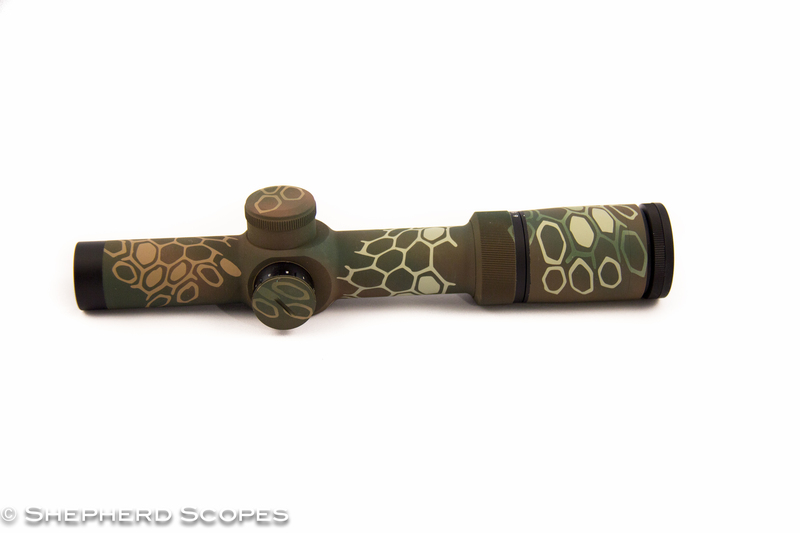 This is definitely a must have hunting or tactical accessory for anyone using high powered flat shooting rifles. 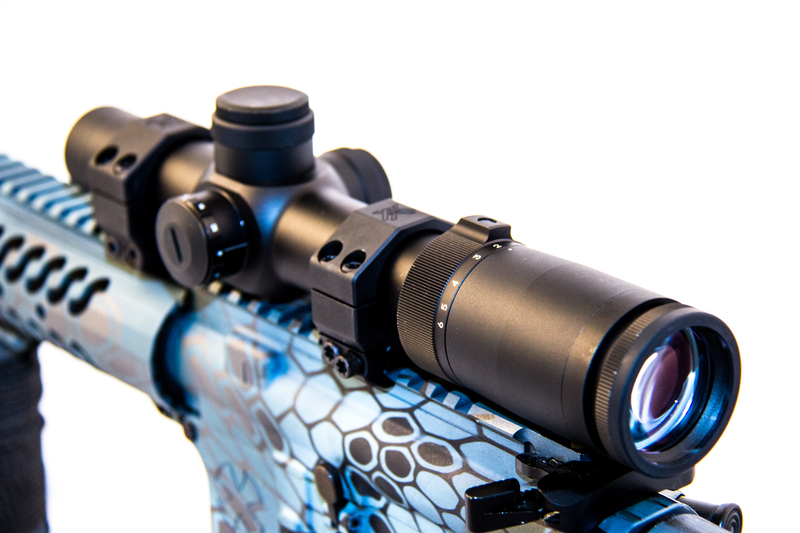 This rifle scope is extremely accurate at all distances out to 800 yards. 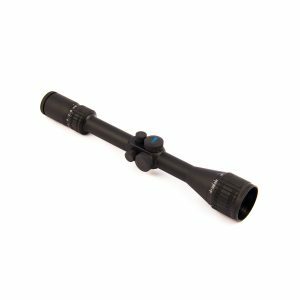 You can purchase this rifle scope here by selecting the “Add To Cart” button or find a dealer or store near you using the locator feature at the top of the page.